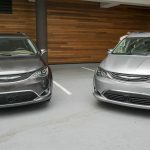 Welcome to the Chrysler Pacifica forum for the Pacifica and Pacific Hybrid plug-in electric minivan! Posted on December 1, 2016. The 2017 Chrysler Pacifica Hybrid has received its EPA ratings, and they are even better than Fiat-Chrysler Automotive’s (FCA) own estimations! 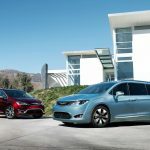 Earlier this week at the LA Auto Show, Fiat-Chrysler Automotive announced the pricing for the Pacifica Hybrid Minivan. What if I hardly ever run my gasoline engine? Re: 2017 Chrysler Pacifica Hybrid Platinum"
North American International Auto Show – Chrysler Pacifica Hybrid reveal!